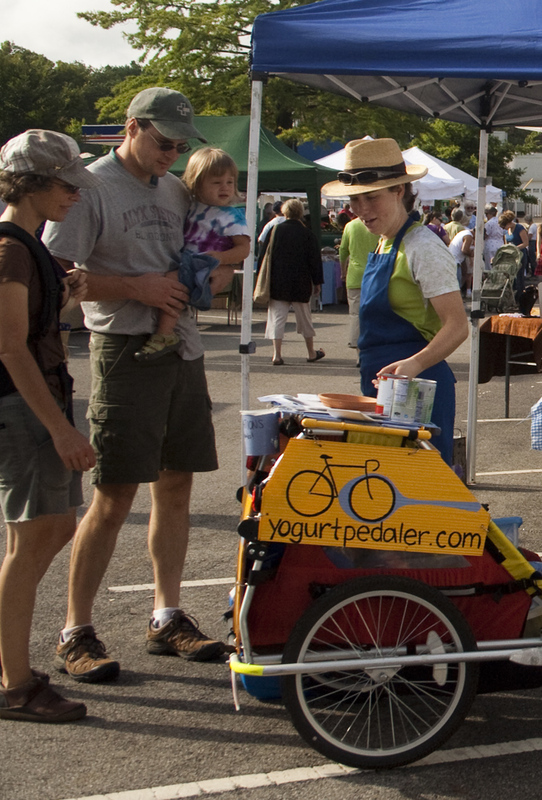 The Yogurt Pedaler was a bike-powered yogurt cart activating public spaces in Midwestern communities. 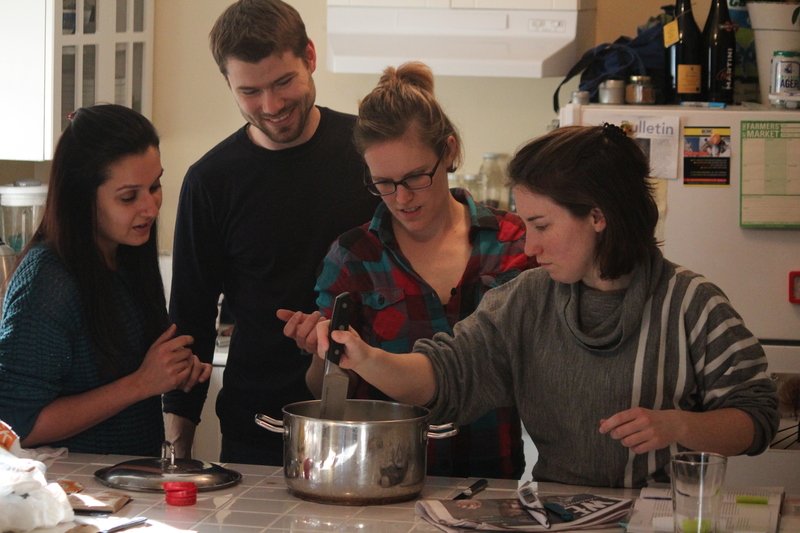 This social innovation project inspired connections between local farms and their neighbors, and teaching the magic of yogurt-making along the way. The project was active 2009-2012. 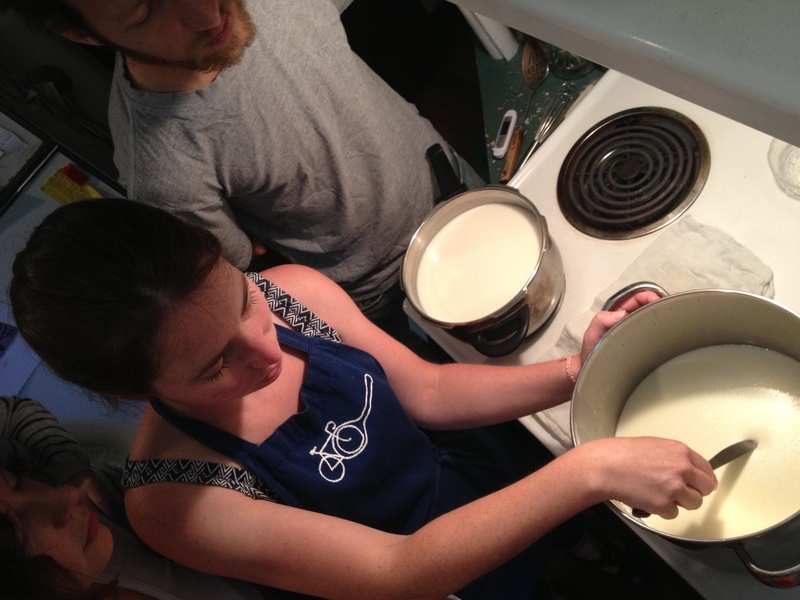 Cheese making has remained a passion and a tool for community building. 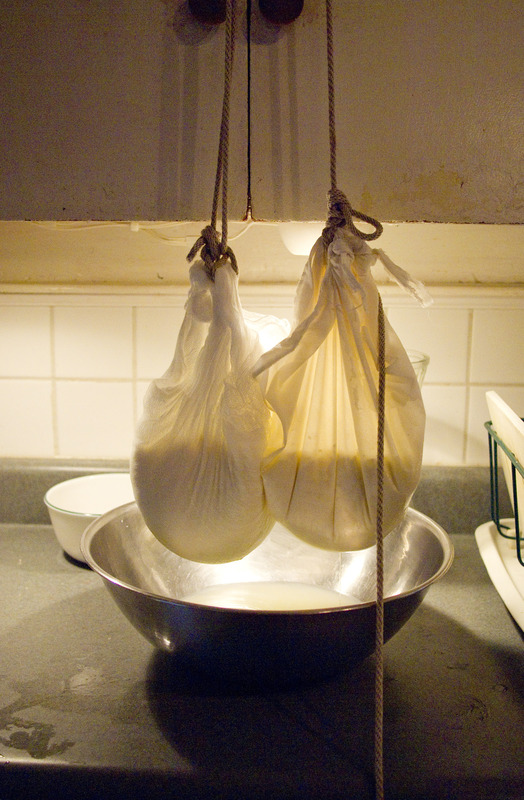 In 2013 I led a series of cheese-making workshops funded by the Vancouver Community Foundation. 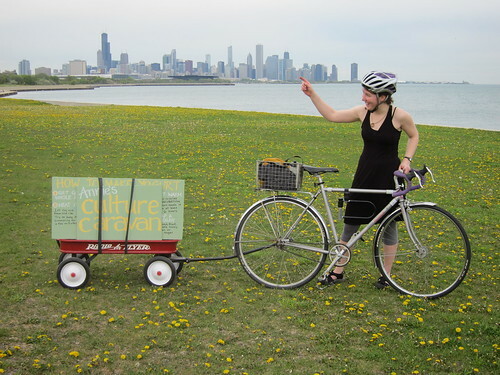 I’m Annie, a young urban anthropologist and artist with a background in cultural anthropology and public space. After graduating from college I moved to Turkey, where I fell in love with yogurt, then I learned to make it working on a dairy farm in southwestern France. No work or lifestyle since has made me feel closer to my friends and neighbors, my food, and my environment than my time on the farm, and with the Yogurt Pedaler I hope to inspire others to make those connections in their own communities. 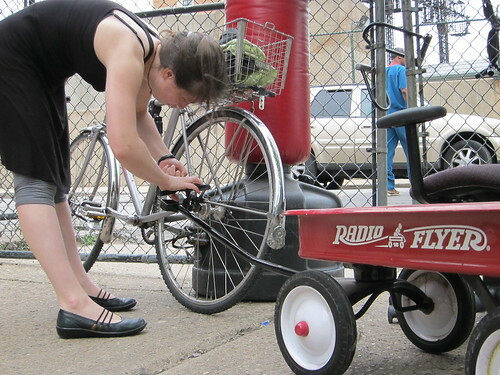 The Yogurt Pedaler project is a combination of my passions for bikes, hand-made food, and street life. Many of the world’s oldest and most beloved cultural traditions revolve around friends and family making and breaking bread together, and these traditions are excellent harbingers of community for neighbors in the largest cities to the smallest towns.